One of the pleasures of visiting villages in the rural areas of Malaysia is to watch the playing of traditional games. It is even better to participate in one of the games. Some of the simpler games played by children come from nature, such as using red saga seeds as marbles, catching a wild spider to pit it against another spider, walking on “stilts” made of coconut shells, and using rubber seeds as conkers. However, there are many games that are also zealously played by adults that often hold spectators in awe. Top spinning draws excited yells and shouts from both spectators and players. Strength, skill and physical dexterity are needed to launch a top, which is as big as a Frisbees and weighing as much as five kilogrames. Tops are normally of two popular designs. The gasing jantung is heart-shaped while the gasing uri is flattened in shape. There are two types of competitions: endurance and knockout. 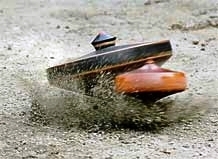 In the endurance competition, the gasing uri is launched and, once spinning, it is scooped up with a small wooden paddle. It is then transferred onto a small post and allowed to spin. The winner is the top which spins the longest – sometimes it can spin for two hours. In a knockout competition, a player tries to knock another player’s spinning top outside a circle using his own top. The ropes used for launching a top are different for each of its function. To maximize its spin, the rope is usually long and thin; while a top used for striking is usually spun using a thick and short rope. The execution of a launch by a master top spinner is done in fluid but powerful movements. Tops are usually made of the merbau and afzella trees, and top-making requires great skill. Top-spinning competitions are often organised on a state, national and international level. 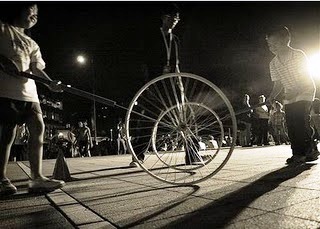 Brunei, Indonesia, Vietnam, Taiwan, Thailand and Japan are among the keen participants in top-spinning competitions. Kite flying can be seen throughout the country though it is more popular in the East Coast, where farmers fly them on the levelled paddy fields after a harvest. A kite usually measure 1.7 metres in height and 1.5 metres from tip to tip of its wing. The most popular shape of the kite is the crescent moon (wau bulan) though other shapes are also found, which are abstract versions of animals such as cat, peacock, hawk, fish, eagle and quail. The tail of a kite is decorated with tassels while a bow is often attached across its neck. When the kite is flown, the bow produces a high-pitched humming noise. The bow is simply a strip of ribbon stretched over a strip of bamboo. A kite, is made of bamboo strips and foil paper, and its artwork is usually formalised by tradition. For instance, a required element in traditional design is to have a large central flower or “ibu” in the centre of the kite; furthermore, vines must emanate from the base of the kite and connect logically. Two types of kite flying competitions are in vogue: cutting and performance. 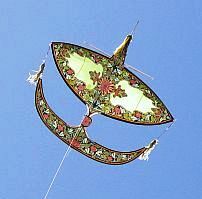 In a cutting competition, the string of a kite is glazed with glass powder so that it can cut the string of an opponenet’s kite, causing it to lose flight. In a performance competition, judges select a winner based on the flight characteristics of the kite such as a vertical launch and maximum height achieved. In the state of Kelantan, after the harvesting of paddy, the playing of rebana ubi by villagers is a popular pastime. A rebana ubi is a giant drum measuring one metre in diametre and weighing 100 kg. It is made from a hollowed-out log and is painted in bright colours. Bamboo sticks decorated with tinsel and flowers fan out from its centre like the spokes of a bicycle. The drum produces a thunderous roll when beaten with a stick. In a competition, players in traditional costumes compete in teams of six who play different sized drums. 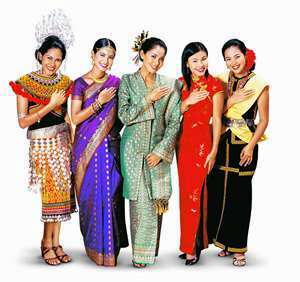 They are often dressed in traditional tunic and headgear, which enhances the gaiety and excitement of the event. They beat the drums continuously for 30 minutes, producing complex rhythms in harmony. Judging is based on the complexity and consistency of the beat and synchronized movements of the players. Played by two persons, congkak has existed since the time of the Melaka Sultanate in the 15th century.The equipment used is a boat-shaped wooden board with two rows of holes (usually 12) and one large hole (rumah) at each end. 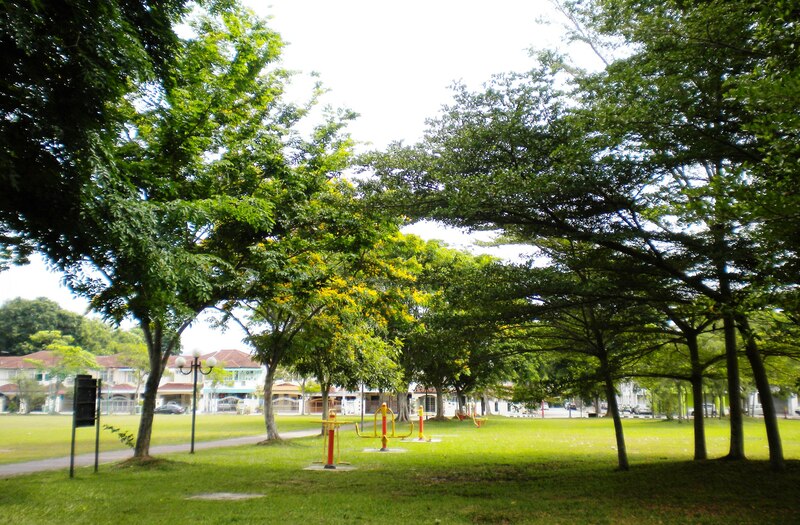 Each player’s rumah is the large hole at the left. The holes are filled with rubber seeds (or marbles). Each player’s aim is to move the seeds in a clockwise direction through the holes to his rumah while observing several rules of the game. 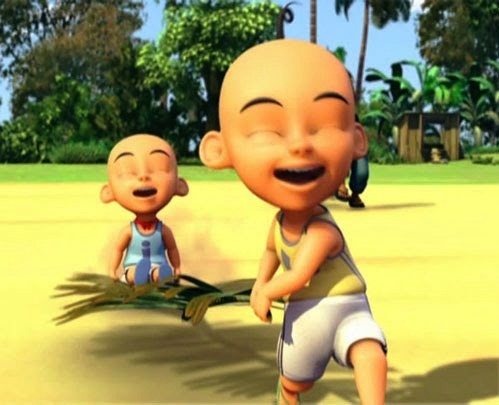 The player who gets the most of the seeds in the rumah wins. This game does not require any equipment. It is played by two teams of not less than 4 players in each team. A playing area consisting of a grid of six rectangles is required. A badminton court is an ideal place as the lines are already drawn. One team is the attacker while the other is the defender. The object of the game is for the attacking team to progressively enter the defending team’s area without being tagged by any member of the defending team. 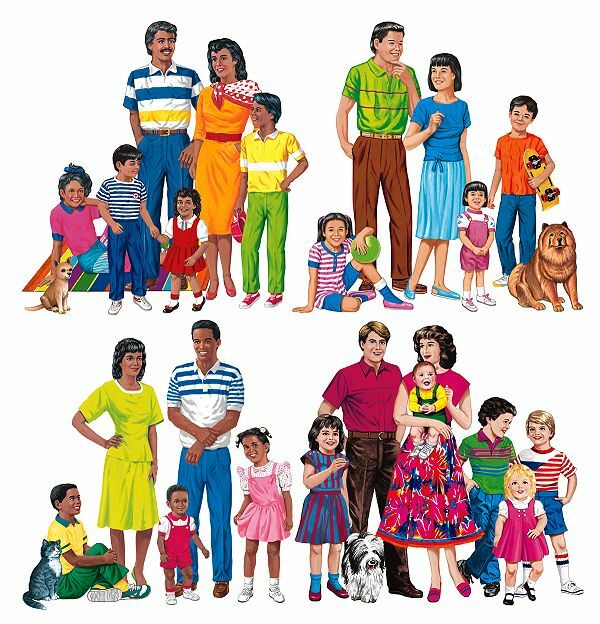 The “attack” can be done either individually or in groups. 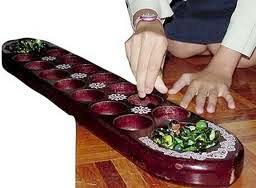 The flower-sheath of the betel nut or nibong palm is used in this game of speed. A team consists of a person seated on the upih and another person who pulls it. Whichever team that crosses the designated finishing line first is the winner. 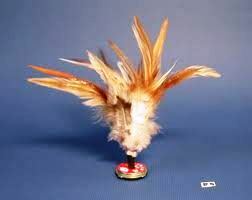 Literally meaning “kicking chicken feather”, this game requires only a simple and cost-economical equipment. A nail is inserted through a few circular piece of rubber of 2 inches in diametre. Usually, the rubber pieces are cut from the inner tube of a bicycle tyre. Five of six chicken feathers are tied to the nail with tape or rubber band. The game can now begin! 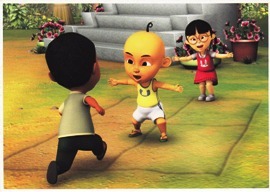 The object of the game is to kick the bulu ayam for as many times as possible using only the instep of the feet. Therefore players can compete individually or as a team. This game requires only the metal rim of a bicycle wheel and a stick. Individuals or teams use the stick to roll the bicycle rim over a predetermined distance. The winner is the player or team who completes the distance first.This game was innovated by children in the late 50s in Malaya. With much energy to spare and no computer games to keep them occupied, children in that era were very innovative and find many ways to amuse themselves. This is one of many games innovated during that era. 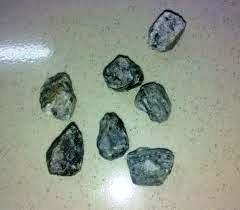 Of ancient origin, the game of Five Stones (also known as Knucklebones) is played with five small triangular cloth bags filled with seeds, rice or sand. Two or more players can play. The aim is to score as many points as possible. A point is scored when a player completes the eight steps in throwing and catching ‘five’ stones. This game can also be played with 7 stones.